For an instant Quote just tell us the width & height. Easy and hassle free! Fully Fitted & Guaranteed for 10 Years! What do new windows cost? See our price guide here. Contact us to arrange a free home visit. FreePhone 0800 328 6698 or CLICK HERE to use our contact form. No nasty hard-sell or hassle, GUARANTEED. A fast, straight forward process from experts that have been providing great customer care for over 30 years. All academy window installations have a 10 year guarantee! Workmen punctual, polite, clean and tidy, very professional job. Would highly recommend. I was very happy with the overall service and the fitters were excellent. Efficient and professional service. Kept up to date by phone, email and text. Great experience from start to finish. We had 14 windows plus front and back door fitted by Academy. From the start I found the person I dealt with from the Basingstoke branch friendly and helpful with a great attention to detail. The quality of the product supplied and the installation work was excellent! If I do require and further work, you will be my first port of call for a quote! The local windows, doors and conservatories company you can trust. We supply and install new and replacement double glazed windows in a variety of different styles. Whatever your house type from period, new, terraced, semi, detached, cottage or bungalow we have double glazed windows to suit them all. With so many window companies out there to choose from, we understand that it’s a big decision and normally a large investment, so you’ll want to look for the right one. Academy will look after you from start to finish, we have been established for over 30 years and quite simply you don’t stay in business this long if you are not doing it right. So you can be rest assured, when you choose Academy for your double glazing and replacement doors you’re in experienced and safe hands. 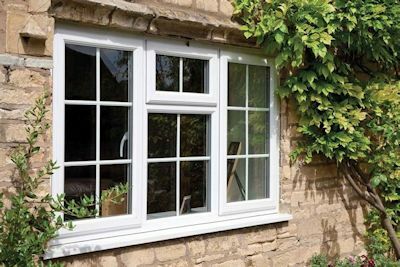 Our uPVC window styles supplied and installed are available in Casement, Bay & Bow, and Sliding Sash & Tilt & Turn. There is a large selection of glazing options (double glazed, triple glazed, coloured and textured glass to name a few) and frames can be chosen in many colours. Adding new windows will enhance the look and add value to your home. With our new or replacement double glazing range of ‘A’ Rated Energy Efficient Double Glazing uPVC Windows you will save money on your heating bills and are the best value your money can buy. They will also add to your comfort. All Academy window installations have a 10 year guarantee and a FENSA certificate where applicable. Academy supply and install new and replacement doors in a variety of different styles. Whatever your house type from period, new, terraced, semi, detached, cottage or bungalow we have composite doors to suit them all. The vast range of doors on offer means you will be spoilt for choice. 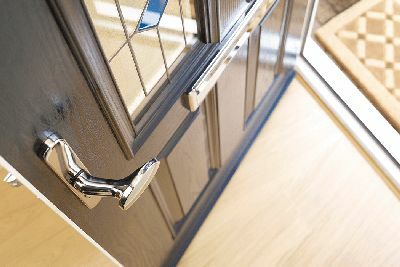 Choose a new front or back door from our Composite and uPVC door ranges. Open your home to the garden and bring the outside in with our Patio, French and Bi fold doors. Have the security of a Stable door while allowing the light and air in. Talk to us today about your requirements, we have a wide range of colours and styles available so we will be able to help you. Doors can be double glazed, the glass panels are supplied from a large design selection. Security is second to none with our doors as they all have Yale multipoint locks, achieving the secured by design police ratings. Your home will be safe from unwelcome intruders, giving you peace of mind. All Academy door installations have a 10 year guarantee and a FENSA certificate where applicable. Looking for extra space? Want to have the perfect view of your garden or somewhere to relax and unwind? 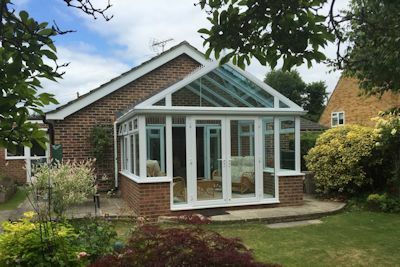 Academy provide a large range of conservatories from the popular Victorian, Edwardian, Georgian, Lantern and the larger P-shape, T-Shape to the latest Loggia and Lean-to styles. If that does not satisfy then we provide a bespoke conservatory design service and for the extra special touch we also do bespoke orangeries. Why not take a look at the different conservatory styles and our conservatory buying guide. Annoyed with leaking gutters? Brittle old fascias and soffits? Why not renew them and have your roofline looking great again. Enhance the appearance of your home with our BBA approved fascias, soffits and guttering. Why not take a look at our step by step fascias and soffits guide to see how we fit our soffits and fascias.